A kaleidoscopic programme of music, theatre and open-air events make up the summer offerings in the harbour city of Bremen: visit the famous Breminale on the Weserwiesen from 12th to 17th July 2016 or picnic in the Knoops Park and soak up the open-air concerts performed by the Bremen German Chamber Philharmonic at “Summer in Lesmona“ (12th - 17th July 2016). 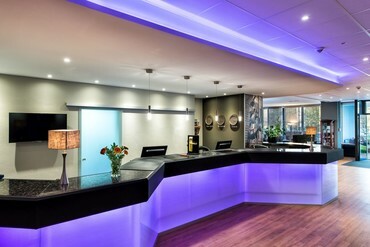 The three-star Best Western Hotel Achim Bremen is located approximately 20 minutes from Bremen city centre. It has 115 rooms, with double beds or three beds, a breakfast restaurant, a summer terrace as well as parking spaces directly in front of the hotel. Thanks to its proximity to well-known companies, such as Daimler and Siemens, the hotel is particularly popular with those on business. The three-star TRYP by Wyndham Hotel Bremen Airport is situated in a strategic position between the historic town centre and Bremen Airport (BRE). It has 183 comfortable rooms, a restaurant serving lavish breakfasts and a bar where guests can relax and enjoy evening drinks. Small get-togethers and business meetings with ten to 35 participants can be held in any of the four conference rooms. On-site parking for 60 cars and coaches is also provided. 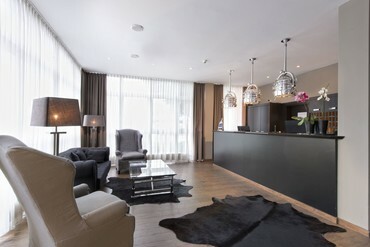 Conveniently located in Bremen's Vahr district, the three-star balladins SUPERIOR Hotel Bremen has excellent transport links. 146 guest rooms, a bistro with bar and a small fitness area are among the facilities offered at this non-smoking establishment. There are eight conference rooms for hosting functions, presentations and conferences of various sizes, with a maximum capacity of up to 340 persons. 110 on-site parking spaces are available for use by hotel and conference guests.